Contrary to popular belief, there are more healthy soup options out there than the Cabbage Soup Diet, which is a highly popular weight loss fad. That diet, which claims that you can lose 7 to 10 pounds in a week, is a quick fix to a long-term problem. It’s part restrictive diet, part meal replacement. Bariatric Health & Wellness’s goal is to support individuals who want to make a real transformation, and that just doesn’t happen with one-week diet hacks. Who really wants to eat cabbage soup for a week straight anyways? Well, don’t worry, we’ve got you covered. 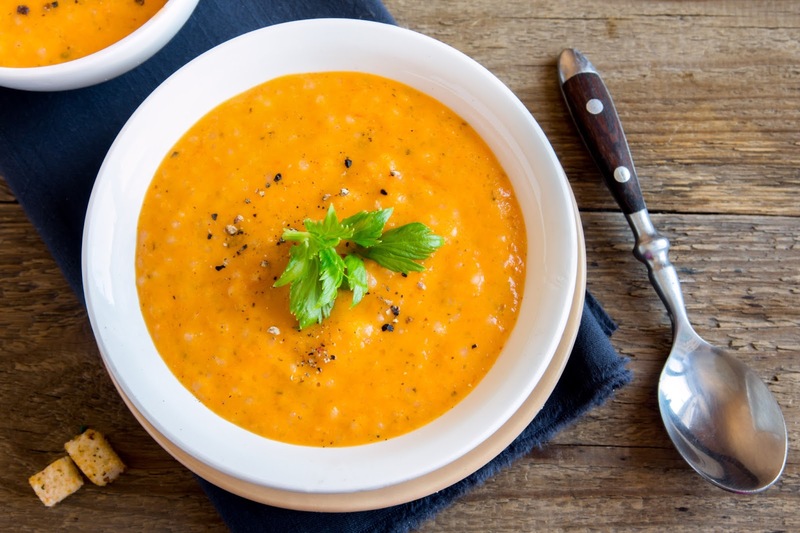 Along with bariatric vitamins, supplements, exercise and accountability, these four fall-flavored bariatric soup recipes will taste great and keep you on track for your weight loss goals. No magic, no tricks - just healthy food that tastes great. Our Hungarian Mushroom Soup flavor pack has a creamy texture and complex flavor profile, combining mushrooms, paprika, onions and garlic. It serves as a great base for a more traditional baked veggie soup, which has Italian origins in combining seasonal veggies (zucchini, leeks and artichokes) into a vegetable base. Sometimes, baked veggie soups can be more on the bland side, so you can deepen and spice up a baked vegetable soup by adding in our Hungarian Mushroom flavor pack. Not only will it give the soup a more complex flavor, but you’ll also be getting lots of protein in the process. Country chicken and vegetable is a hearty, fatty combination that people cook slow and low for hours to let the flavors mix and become more pronounced. Most recipes for this soup call for the addition of rice or barley to provide a little bit more texture in each bite. Some also call for extra chicken broth or poultry seasoning to improve the savory flavor. Both those additions will add in unnecessary carbs and unhealthy fats, so they’re not a great option if you’re sticking to a bariatric diet. With our Country Chicken and Vegetable Soup flavor pack, you can replace the carb-heavy and fatty soup base with a high-protein, low-fat option that will add amazing flavors to the soup. Chop your carrots, celery, onion and any other veggies you want, and toss them in a large pot with some chicken quarters. Fill the pot with just enough water to cover the ingredients and set it on low to medium heat depending on how long you want it to go. Put together our Country Chicken and Vegetable base, and serve your chicken and veggies in a bowl together. Magnifique! Similar to the chicken and vegetable soup, beef vegetable soup is a hearty meal that incorporates large chunks of beef, carrots, celery, onion and some essential seasonings (salt, pepper, onion powder) into a savory soup with a hearty textural profile from the large chunks of vegetables and beef. Most of the flavor in the soup comes from the commingling of the vegetable and meat flavors as they cook down and reabsorb the broth. Most recipes call for the addition of vegetable oil, beef bouillon cubes or Worcestershire sauce, which are intended to reinforce that beef flavor. Unfortunately, you end up adding lots of unhealthy fats and calories - again, not great for the bariatric diet. To take your flavor profile to the next level without sacrificing your health, use our Beef Vegetable Soup flavor pack as a hearty base. Just spoon your veggie and beef chunks into our soup base. Or, if you’re short on time, you can use it as a meal replacement on its own. Tomato soup is deceivingly unhealthy. Bisques rely heavily on fat, salt and cream for their flavor profile. Your typical Campbell's Tomato Soup tastes like a warm can of V8 unless you pair it with a grilled cheese, which has saturated fats and unhealthy carbs. If you crave that savory tomato flavor profile but want a healthy option, our Thai Tomato Soup takes traditional tomato soup flavors and adds some extra spices, giving it a Thai spin. By adding Thai flavors such as lime, peanuts, red pepper and coconut, we’ve given tomato soup a bright, more complex flavor. For the final touch, pair it with a cauliflower grilled cheese, a healthier, more nutrient-rich option. There are more healthy soup options than the Cabbage Soup Diet. With these four healthy, hearty soup options, you can fill your kitchen with the scents of the season, save time on meal prep and stay healthy doing it.